One of the questions that we get often is how to properly clean workout/sport clothes. 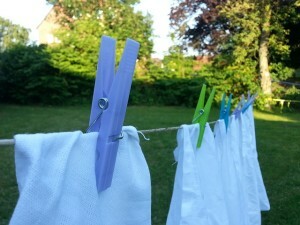 All to often this type of clothing does not get cleaned well and ends up staying smelly even after a wash & dry cycle. Follow these helpful tips to ensure your workout clothes stay smelling fresh no matter how sweaty they get! It’s very important not to throw your sweaty workout clothes in the hamper with the rest of your laundry. It will contaminate the other clothes with the sweat and create a large pile of extra smelly laundry. Instead, hang dry your sweaty laundry and let them dry out to prevent mold/bacteria growth and then keep them in a separate pile from the rest of your laundry. With smelly workout clothes it’s important to use the highest heat possible on both the dryer and washer settings. Many people agree that this will eliminate as much germs/bacteria as possible and clean the clothes to the fullest extent. It’s also important to use the same amount of detergent you would normally use for that particular sized load of laundry. Many people think they should add more detergent, which can actually be counter-productive as the excess soap can remain without being washed out and can sometimes harbor fungus/bacteria growth. Even if you have washed your sweaty workout clothes fully, there can often times still be a lingering smell on the clothes/towels. 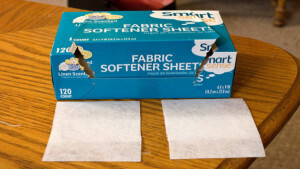 Dryer sheets are a fantastic way to keep these materials smelling great. 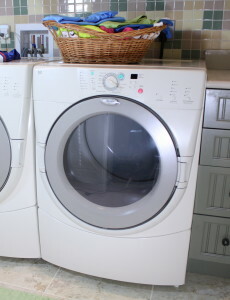 There are a variety of different types of dryer sheets, some brands even offer “sports” variations of dryer sheets which are extra potent for smellier loads. We hope these tips help with your smelly workout laundry and keep all your clothes as fresh and clean as possible! You will find a clean, brightly lit, secure and pleasant environment. We have three large wall mounted TVs in Englilsh and Spanish. Of course, we have free wi-fi and outlets where you can recharge your mobile devices.